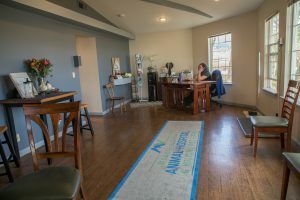 Mountain View Animal Hospital and Holistic Pet Care believes the best medicine has the integration of scientifically proven western modalities and modern imaging techniques combined with natural medicine. If making an appointment with our Holistic Pet Care center, it is assumed that you want to maintain a natural approach to your pet’s general health and/or discuss holistic treatment options for a current medical concern. If requesting an appointment in regard to a current health concern or illness, we request your pet receive a western examination and diagnosis (skin scrape, biopsy, radiographs, etc) prior to your holistic appointment. Please note that a holistic examination and treatment is not a substitute for a diagnosis utilizing modern diagnostics (skin scraps, biopsy, x-rays, etc). We recognize diagnostics medically necessary for a proper diagnosis can not always be performed by the owner, but please note this may also hinder what we recommend for holistic treatment. We always offer second opinions and will always give holistic treatment options, despite what diagnostics have been performed. If additional modern diagnostics are to be necessary, they may need to be performed on the next appointment or with your general veterinarian. For the best medicine, we find it beneficial to review prior medical records to assess the health and history of your pet. If your primary veterinary hospital is Mountain View, your records can be automatically viewed. If not, for your convenience we may call your primary veterinary hospital and/or you can bring in a copy with you. Please ensure your records include recent exam notes and results of all diagnostics including things like blood work and radiographs. Our Holistic Pet Care is located in the building to the right in the parking lot. We request all dogs be on a leash and cats carried in a safe carrier. Please arrive 15 minutes prior to your first appointment. Your first appointment is typically one hour in length. After this, maintenance treatments typically are 30 minutes in length. Please let us know if your pet has special needs ahead of time so we can accommodate you and your pet to create as peaceful experience as possible. We look forward to introducing your pet to natural health options. Any questions you may have, please do not hesitate to contact our Client Advocate team at 775-853-6002.